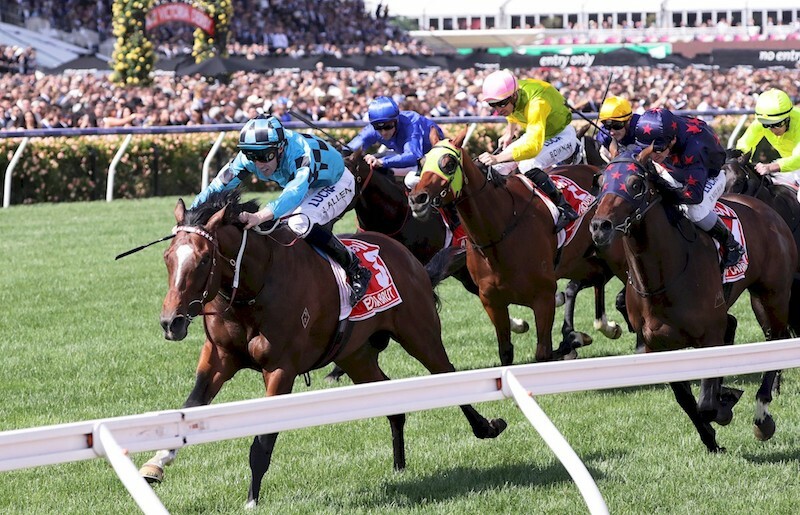 For Congupna breeder Andrew McDonald and his Redoute’s Choice mare Dom Perion they were both celebrating not only the win of her son Extra Brut in the Derby but also the good news that another precious little bundle is on the way. Focusing on his small band of mares, based at his Congupna property, ten minutes north of Shepparton, McDonald will be breeding three mares this year including Extra Brut’s dam Dom Perion. McDonald was thrilled for the large and diverse group of owners involved in Extra Brut, especially to see such enthusiasm in the mounting yard after the win. Extra Brut was offered as a weanling at the Inglis Great Southern Sale where he would be purchased by Gary Mudgway for $52,500, who then put the colt through the 2017 Inglis Sydney Classic Yearling Sale and was knocked down to Brad Spicer Thoroughbreds for $100,000. Spicer has purchased Group 1 winners Starspangledbanner, Awesome Rock, Commanding Jewel, Zabeelionaire and a host of black type stars over the years, but you sense the Extra Brut syndicate is something really special. 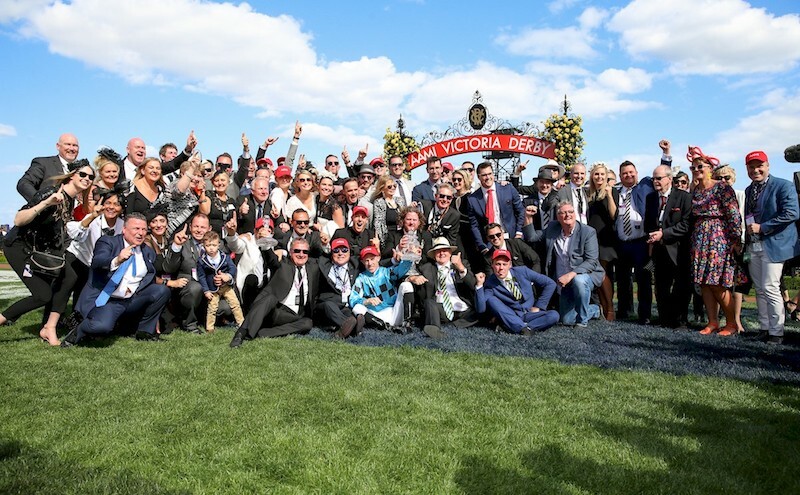 “There are about 30 in the group, although it seemed like a whole lot more in the Flemington mounting yard on Saturday!” Spicer recalls. “The great thing about this syndicate is that many are first time owners, family and good mates too. After giving Darren Weir his first Derby success, it doesn’t stop there with extra Brut now accepting and backing up in the McKinnon this Saturday. And if he snares another win, let’s hope Flemington has put in an order for few additional cases of Extra Brut champagne! NEXT POST: Victorian breeders join together in a Divine celebration!